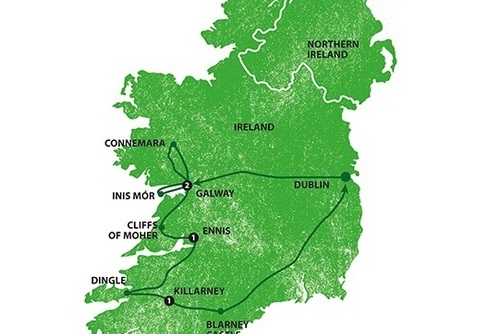 With their Irish charm and legendary gift of the gab, Shamrocker Adventures came along in 1999 running budget tours of Ireland. 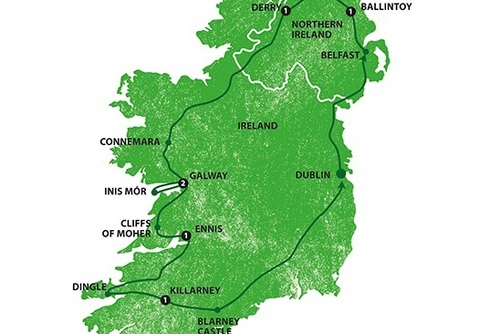 Experience fantastic 3-7 day tours of Ireland designed for the young and the young at heart. 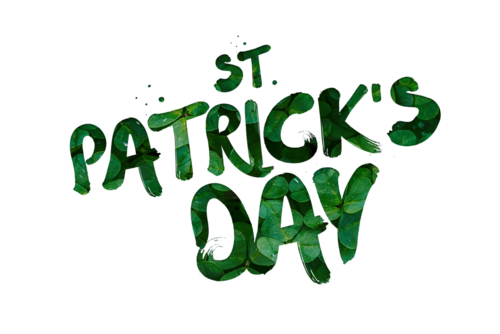 Get a tremendous insight into Ireland, meet real local characters and discover what it means to be Irish. 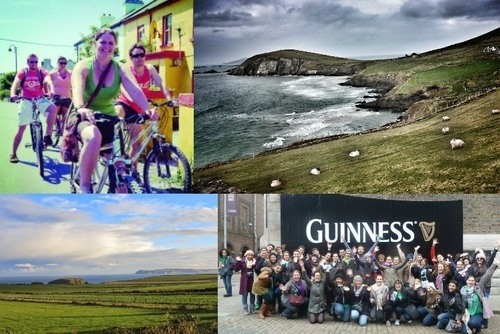 Our Irish adventures are shamelessly good fun or, as we like to say over here, 'great craic'. Down creamy pints of the 'black stuff' whilst a ragtag of local musicians spontaneously strike up in a corner of the bar - fiddle and flutes aplenty! 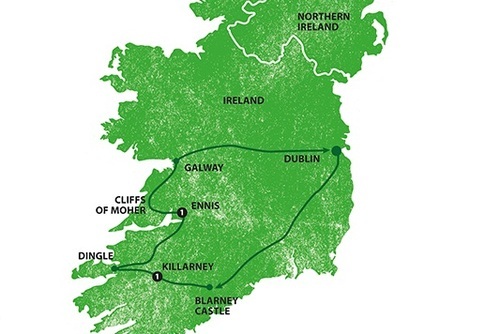 At the moment you can aave up to 15% on selected Ireland tours with Shamrocker Adventures. I did a 7 day tour with a few friends and had a great time! I highly recommend going through shamrock adventures , the tour guide was amazing and did a fantastic job of explaining the history of Ireland and was very passionate about it. 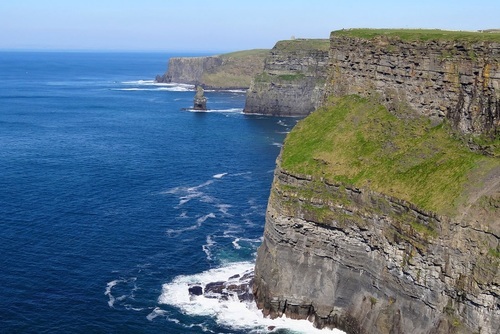 We saw all the highlights of Ireland you NEED to see, and also had a great time meeting new people from all over the globe! 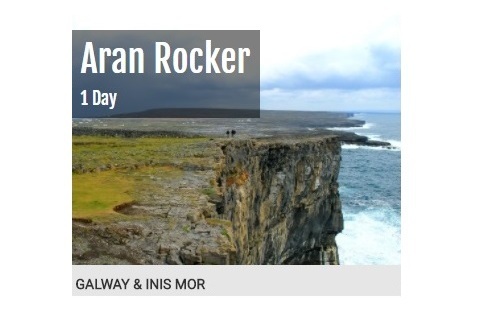 I went on the 7 day All Ireland Rocker in May and it was the greatest week ever. Our guide Patty (Patrick) was excellent as well as our bus drivers! Patty broke the ice of the group straight up and this made for a close bond for the seven days. It's such a good way to get around Ireland and see everything as well as meeting some locals and getting lots of history and stories along the way. Absolutely 100% recommend to anyone considering and go the full 7 days as people who didn't when we met up with them felt like they had missed out. All accommodation was good and there were options to go on group dinners but this wasn't compulsory! 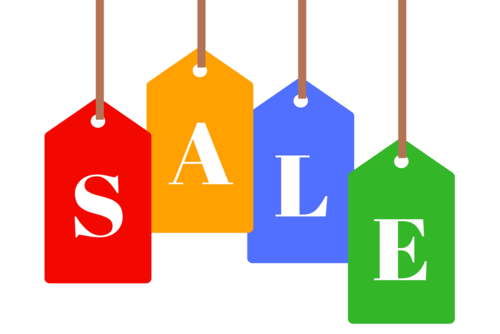 Do all the extras especially the walk to the swinging bridge, the black cab tour, the walking tour in Derry and of course the pub crawl in Galway! I was part of All Ireland Rocker. It was a very complete tour. We enjoyed it! The guide was really friendly. I went on the 3-Day Western Rocket tour and it was the best decision I could have made. Traveling alone in Ireland, this tour made seeing many sights easy and gave me the opportunity to meet new friends from all over the world. Wish I could’ve stayed on for a longer trip. We did the Giant's Rocker 5 day tour and it was amazing! We would definitely do a shamrockers tour again. 10/10 recommend! I did a tour of Ireland which is one of the greatest things I have ever done in my life. My tour was incredible and the tour guide did everything he could to make sure we all bonded quickly. As for the tour guide himself, he was amazing! I did the 5 day Celtic Rocker in May 2018, and it was absolutely amazing! The first and last days were quite a bit of driving, but all the stops and the good ol’ Irish charm of the tour guide Aisling, and her shadow trainer Conor, made the time fly by. They were full of stories and really brought to life the history of all the amazing and ancient places we saw. In April a friend and I did the 7 day all Ireland rocker and had the best time. Our guides Aisling and Patrick were very knowledgeable and passionate about everything Irish and knew lots of interesting (and sad) history about Ireland. We did so much within 7 days but we really got to experience the culture and wonders of Ireland. 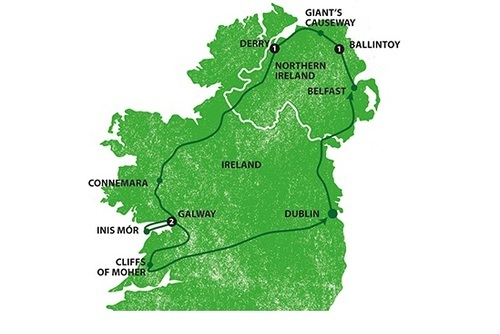 I couldn’t recommend this tour enough, if your going to travel Ireland go with Shamrockers! I did the shamrockers tour 1 week ago. The guide knew so much and had many cool stories. 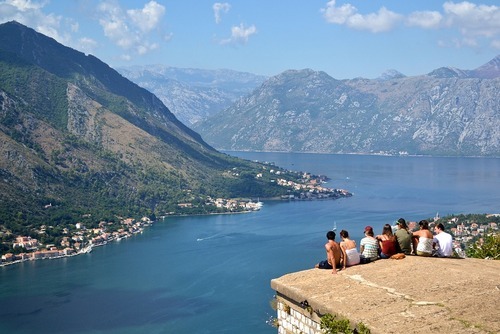 We all had a lot of fun together and have seen so many beautiful places. Had a fantastic time on the tour tour guide was amazing. Only bad thing is that they ran a promotion offering a free trip for the best photo taken and they have failed to announce a winner or respond to any messages in regards to this yet still reposted numerous photos I have taken. My friend and I booked this trip and it was such a blast. We loved seeing most of Ireland in 3 nights plus we had unusually good weather in February so we had a blast. The guides were great and personable, the sites were amazing and the food was A+. The only complaint I had was the second hostel/last place wasn’t that great. It was in the middle of nowhere and everything closed at like 10pm. We wished we got to spend more time at Killernary & a few other places but hey, in the bigger scheme of things and for the price, it met our expectations and more. I did the St. Pat’s Party from London Shamrocker Tour in 2015. It was, honestly, one of the best trips I’ve ever taken. The trip to get there was a bit brutal with a 12 hour bus ride and ferry, but the tour guide made the travel bit so fun that the time flew by. Once we got there, the trip was filled with site seeing and historical walking tours- I’m not usually big on walking tours but the guides made it super fun and engaging. We also got to visit the Guinness Shorehouse- where I got to learn how to pour a pint, Irish step dance and end the day enjoying a Guinness with panoramic views of Dublin at the Gravity Bar. Then came St Paddy’s Day! 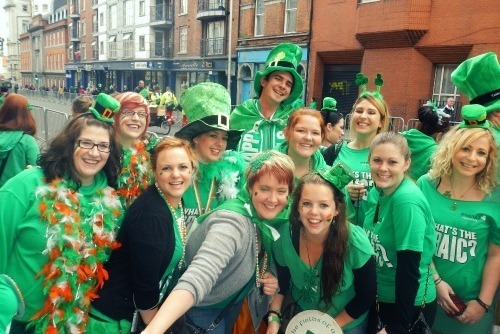 The day started off by all of us going to the parade and then we all went our separate ways- there were festival rides, lots of fish and chips, lots of shopping and lots of Guinness! At night, everyone made their way to Temple Bar in Dublin where they had a variety of bars with great dancing and good times. The next day was rough- we got up at 5:30am to pack up and be on the bus to leave. But again, having our tour guide made the whole experience so easy and fun. I’m so glad I did this trip through Shamrocker Tours was because they took care of the travel and accommodations AND it was affordable. I got to see and experience Dublin through local tour guides, and I got to tour and make friends with people from all over the world! The whole tour experience was fan-fecking-tastic and I would definitely recommend it! My partner and I recently completed a 9-day tour of Ireland with Shamrocker Adventures, that included St. Patrick’s Day festivities. Our guide, Daithi (Dave) was incredible - he was funny, welcoming, and full of knowledge and stories about Ireland and its history. 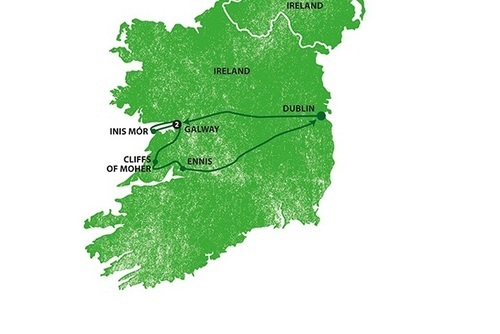 The tour covered everything we could have wished for on our trip to Ireland. The hostel accommodation was fantastic, and the places we visited (from cities, to tiny villages, and all stops in between) were nothing short of incredible. 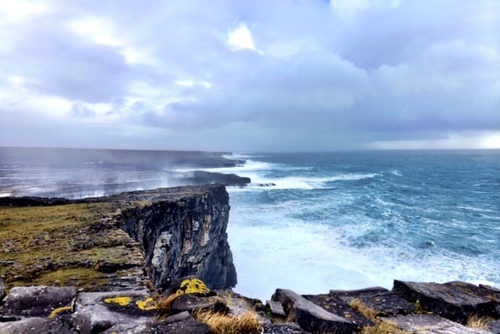 We whole-heartedly recommend Shamrocker Adventures to anyone thinking of visiting Ireland! My travels were coming to an end and I still hadn't seen Ireland yet. I needed something that was time efficient, reliable, and fit in with my budget. That was Shamrocker and then some. I had the best time, so much fun! Great group size made it so easy to become friends and I still talk to people on my tour now. Our tour guide was a local, knew his stuff, and even new locals in a few of the pubs he could introduce us too.